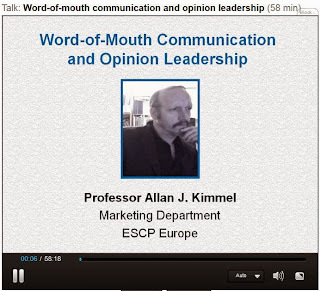 Allan J. Kimmel is Professor of Marketing at ESCP Europe in Paris, France. He holds MA and Ph.D. degrees in social psychology from Temple University, USA. He has published extensively in the fields of consumer behaviour and marketing including articles in the Journal of Consumer Psychology, Psychology & Marketing, Business Horizons, Journal of Marketing Communications, and European Advances in Consumer Research, among others. They say nothing in life is free. 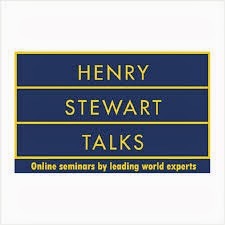 Well, I hate to prove the pundits wrong, but the people behind the online Henry Stewart Stewart talks are featuring my installment in Michael R. Solomon's new series, Why We Buy: Understanding Consumer Behavior, as their free talk of the month. So anyone can have access to the full 58-minute presentation, free of charge. At the end of October, however, we go back to nothing in life is free. Show me the love. The end of the vacation period in Paris brings the surly out in the usually surly Parisian, seen daily in full glory on the Paris metro. A new study conducted by Yale University researchers, however, suggests a possible panacea : simply touching something warm may make you feel and act more warmly towards others. The researchers asked student participants to hold either a hot or iced cup of coffee and then to imagine the personality traits of a fictitious person. Those holding the hot coffee rated the person as more generous, sociable, and good-natured than those who held the cold coffee - all of which are characteristics psychologists associate with warmth. Taking the research a step further, the researchers had other student volunteers briefly hold one of those heat or ice pads sold in drugstores for pain, allegedly as part of product-testing. The students later were given the option of a small gift as a thank you for participating: they could choose either an ice-cream coupon or bottled drink for themselves, or one for a friend. Students who held the hot pad were more likely to choose a reward for a friend, whereas those who held the ice pad were more likely to choose a reward for themselves. 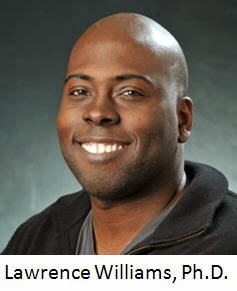 According to the principal investigator Lawence Williams (now at the University of Colorado), the findings suggest that people are more sensitive to cues in their physical environments than we might think: "We shouldn't underestimate the importance of our surroundings in shaping our thoughts, feelings, and actions." In fact, physical and psychological concepts "are much more closely aligned in the mind than we have previously appreciated." It's interesting to consider the consumer behavior and marketing implications of the research. According to Williams, free food samples distributed in grocery stores probably entice more shoppers if they are warm. Consider also that there already are relatively inexpensive hand warmers on the market - little sacs that you heat in water prior to going out in the cold, which you can then put in your coat pockets and use as a handy way of keeping your hands nice and toasty (assuming they effectively work). 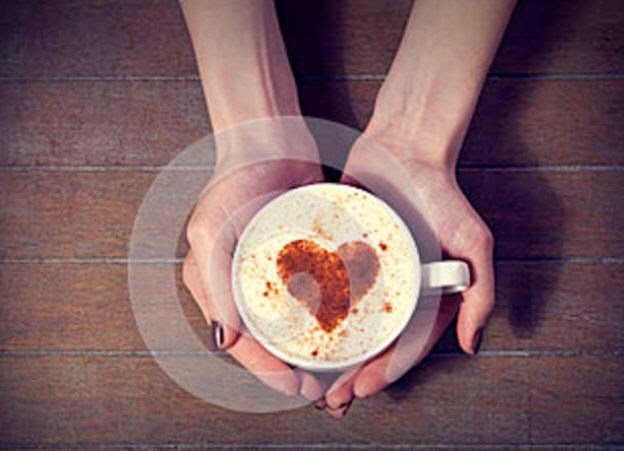 Perhaps a new product tagline: 'Warm your hands and your heart at the same time.' And as Paris commuters shift more and more from hard-copy books, newspapers, and magazines to electronic versions, perhaps as their portable devices warm up through use, so too will my fellow countrymen. "Experiencing physical warmth promotes interpersonal warmth" by Lawrence E. Williams and John A. Bargh. Science, 2008, vol. 322, no. 5,091. Options 1 and 2 are obvious, but how to explain option 3? According to a new study conducted at Brigham Young University in the US, consumers experiencing a heightened sense of balance are more likely to weigh the options and go with a product that falls in the middle of the scale between high-end and low-end. In other words, wear high heels. Or, for those like myself who can't abide high heels (particularly males), ride up and down the escalator, pretend a cop has just pulled you over and asked you to walk a straight line, stand on one foot when you're pausing in front of product alternatives, or just go shopping immediately following your yoga class. BYU researchers Jeffrey Larson and Darron Billeter found that almost anything that forces your mind to focus on balance affects your shopping choices as well. Balancing consumers, for example, are more likely to go with a 42-inch TV for $450 rather than a $300 32-inch set or a 50-inch screen for $650. In other words, balance equals moderation. The moral of this story, according to Larson is this: "If you're someone who tends to overspend, or you're kind of an extreme person, then maybe you ought to consider shopping in high heels." The bigger picture here pertains to the relationship between physical sensations and decision making, and reveals that people should be aware of how physical forces can change the way they think about things. As Billeter suggests, "We need to sit back for a minute and consider, 'Is this really what I want, or are the shoes I'm wearing influencing my choice?' We need to be more aware of what is influencing our choices." 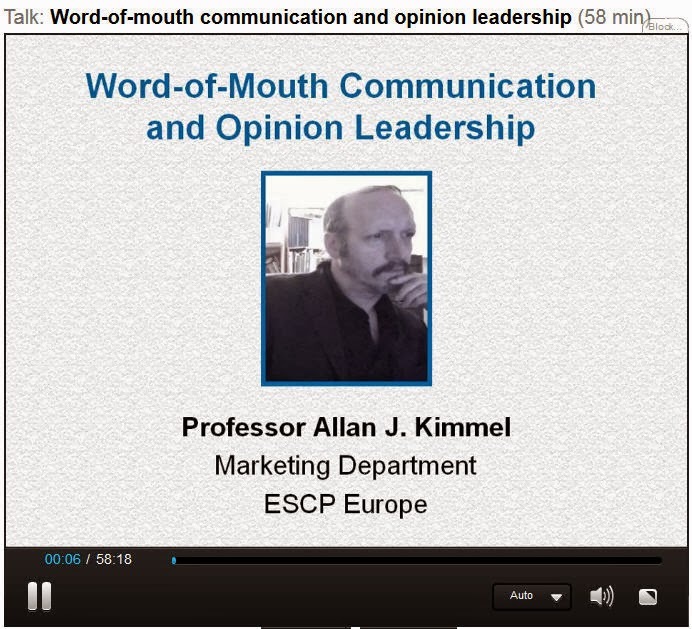 There are three types of word of mouth in terms of directionality: positive (a recommendation), negative (advice against), and neutral. Neutral, you ask? Sure. Imagine a friend telling you that a new bike rental stand will be set up outside your place of employment. You drive a car and have no interest in riding a bike. Well, that's your problem. But you probably don't care one way or another about that piece of information your friend passed along to you (and which you might pass along to another friend at work who doesn't own a car) - it's neutral. But from the marketer's perspective, that information could be disseminated through a relatively inexpensive advertising or direct marketing campaign. 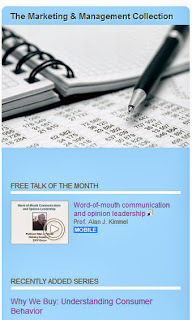 What is interesting when it comes to efforts to leverage WOM is a positive recommendation. And the following infographic neatly summarizes a few key points about it. 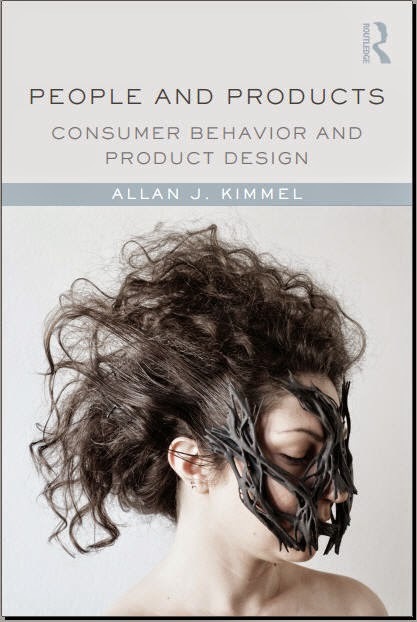 This website expands and updates the ideas developed in my books, Connecting With Consumers: Marketing for New Marketplace Realities (Oxford University Press, 2010) and Psychological Foundations of Marketing (Routledge, 2013). Developments in marketing communication, consumer behavior, and strategies and approaches for marketers to shift from their focus on controlling consumers to engaging with them are all fair game here.